To ask Cindy C. Bennett questions, please sign up. 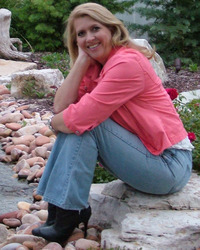 I'm happy to be part of the blog tour spotlighting Freedom Factor. I'm always surprised at how many people are unaware of just exactly what the constitution says. I mean, it's the thing that makes us America. I think it's great that there's a movement making American's more aware of what it says and what it means. Read more at freedomfactor.org. We’d love your help. Let us know what’s wrong with this preview of Gears of a Mad God by Brent Nichols. We’d love your help. Let us know what’s wrong with this preview of Shattered Hearts by Stacy Lynn Carroll. We’d love your help. Let us know what’s wrong with this preview of Qualify by Vera Nazarian. We’d love your help. Let us know what’s wrong with this preview of The Afterlife Academy by Frank L. Cole. This is a group for anyone that uses Figment. Advertise for contests, and receive hearts, while chatting about how to improve your work. Thanks for the friendship, Cindy. Sometimes truth is stranger than fiction. Your life sounds almost too good to be true! A Harley ride through the mountains sounds incredible! Linda wrote: "Cindy Bennett I'm a huge fan of your books ive read most of them ,my favorite of all time is still Heart on a Chain., I am upsest with it and was wondering if you ever thought about writting a se..."
Thank you for your kind words! I am so happy that you liked Heart on a Chain, but sorry it upsets you that there is no sequel. :o) So far, I don't plan on writing a sequel because I feel like their story ended where it should. But writing a short story isn't a bad idea! You're not the first to ask for a sequel, but so far it isn't in the works. I will definitely announce the sequel if I ever decide to write one. Thank you for your support! Rachmi wrote: "hello cindy, thanks for accepting my friend request, i enjoy reading your books, any chance beautiful beast made into a novel? because i really like calli & alex ;-)"
I do remember, Jenna. I'm a fan of yours! Thanks so much for friending me. I can't wait to check out your books. Cindy C wrote: "Precious Mae wrote: "Hi! Thanks for adding me! I really love your Heart on a Chain. It is so beautiful it hurts." Hi, Precious Mae (great name!). I'm so happy that you liked the book. :o)"
yay! Thanks for the 'great name' comment! :) I can't wait to get a hand of your Geek Girl! Excited much! Precious Mae wrote: "Hi! Thanks for adding me! I really love your Heart on a Chain. It is so beautiful it hurts." Michelle wrote: "I simply loved Heart on a Chain!! I read it in less than 24 hrs, I just couldn't put it down! I purchased Immortal Mine and can't wait for Geek Girl to come out on Nook so I can purchase and read..."
I simply loved Heart on a Chain!! I read it in less than 24 hrs, I just couldn't put it down! I purchased Immortal Mine and can't wait for Geek Girl to come out on Nook so I can purchase and read that one as well! Hi! Thanks for adding me! I really love your Heart on a Chain. It is so beautiful it hurts. Albert wrote: "Thanks for the invite to the Group "Geek Girl", I joined in a heart beat and I also added http://wgfec.blogspot.com/ to my blog's resources page at http://freebookreviews.blogspot.com/p......"
Thanks, Albert! I appreciate you putting it on your blog. Linda wrote: "I loved the book heart on a chain i literally read the book in two days." Linda, Thank you so much! You read it really fast :0) I am so glad you enjoyed it. It really means a lot to me! I loved the book heart on a chain i literally read the book in two days. Hi, Laura. You're very welcome on both counts. I meant every word in my comment. I think you're amazing. Thank you so very much for the friend request and the kind comment on my blog. It was much appreciated. I'm very interested in reading one of your books. I think I will especially like Heart on a Chain. Sarah wrote: "I think I may have just found myself a new favourite author! Thanks, Sarah, that's really nice of you to say! I'm glad you liked the book. I think I may have just found myself a new favourite author!